Are you properly measuring your Facebook ad effectiveness? If you’re using Facebook advertising to connect with your audience then you should also be measuring how effective those ads are. Measuring success is a vital part of running effective ad campaigns, and though measurement may be more difficult on social media than other channels, it is still essential if you want to ensure that you are spending your ad budget wisely. If you aren’t currently measuring Facebook advertising effectiveness or you’re feeling a bit lost in the process, you are not alone. In fact, research shows that only 8% of companies report they are able to determine ROI from their social media spending. The key to determining whether or not your Facebook ads are reaching the intended audience and inspiring them to take the desired actions is monitoring the right metrics and adjusting your strategy accordingly. 1. Determine goals for your Facebook ad campaign. Businesses create Facebook ads for different reasons. Some want to increase social media engagement, while others want to promote sales directly or encourage app downloads. No matter what your goals are, you must keep them in mind as you begin to determine which metrics you will monitor for each campaign. As you develop a Facebook ads strategy, consider what you are trying to achieve with your advertising. When you begin to create your Facebook ad campaigns, you will need to choose an objective. What actions do you want your audience to take? These specific goals will not only help you create compelling ad content, but they will also be vital in determining which metrics you use to measure success. 2. Choose metrics that make sense. 3. Monitor these metrics and create a report. Once you have chosen the appropriate metrics for your Facebook ad goals, it is time to start measuring and monitoring. You can use Facebook Ads Manager to monitor a number of metrics or you might opt to use a third-party tool that creates reports for you based on the metrics you’ve outlined. Once you have developed an initial report, you can use this as a baseline for future reporting. Consider how your progress compares to your expectations as well as how it might compare to your competitors’ campaigns. As time goes on and you collect more data, you will be able to gain important insights that will help you become successful in future campaigns. When it comes to the actual report, you want to include benchmarks and other information that makes it clear what the figures mean and how this campaign contributes to your overall advertising goals. Graphs and other visual data is also helpful. This helps you justify ad spend. 4. Adjust your measurement strategy over time. Once you have created a measurement strategy, you will need to review this periodically to ensure that it is still effective. 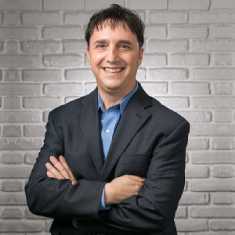 If you feel that you are missing important data or including data in your reporting that is unnecessary, it may be time to review your campaign goals and look for new metrics that may be able to address these goals. Developing a successful measurement strategy takes time. After you have adjusted your strategy to account for missing or extra information, revise your reporting process to make sure that your analytics are consistent. Are you ready to see how your ads are performing? Facebook Ads Manager allows you to view important campaign data and make changes to your ads. This dashboard shows you an overview of all of your campaigns including ad spending. If you want to see how each is performing, the “Performance” button has a number of categories that you can view for each set of ads. In Ads Manager you can also make changes to your ad by updating content or adjusting the targeting features. After you have determined what metrics you will measure and you’ve begun to compile your data, you can begin to optimize your ads to better meet your business objectives. Testing is an important part of ensuring that you are running your Facebook ad campaigns efficiently and getting the most bang for your buck. Consider using tools like Conversion Lift to test your ads and find which advertising approaches work best in achieving their unique ad goals. 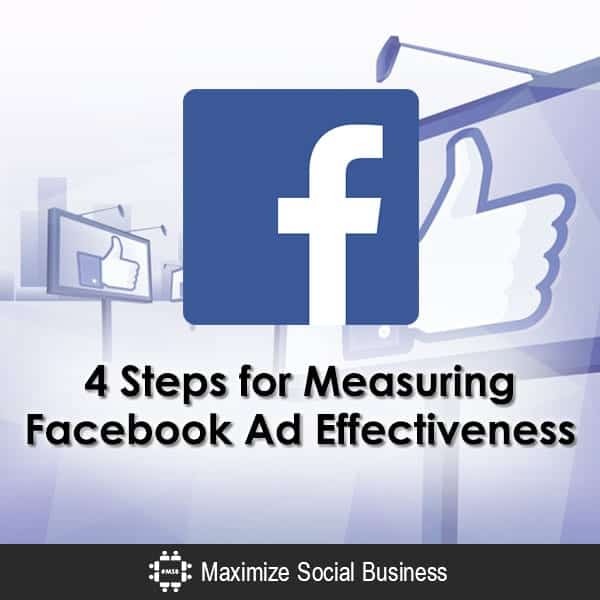 Which ways do you use to measure your Facebook ad effectiveness?